Horses undergo some stress during all the traveling to and from sales and shows. Help keep them healthy and on the right track with some GI Renew! Pennwoods Organic GI Renew is a blend of organic concentrated probiotics, prebiotics, enzymes, and a organic immune stimulant with high levels of beta glucans. 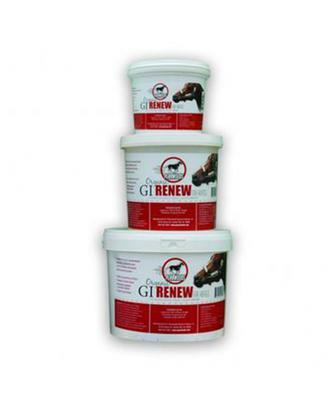 GI Renew aids in prevention of colic, soothes and heals ulcers and stimulates appetite and the immune system. It also acts as an organic toxin binder.